There was an odd radii halos outbreak in the Czech Republic and Hungary in the past few days. Multiple rare halo forms were captured. He managed to capture 9° contact arcs, 9° parhelion and 24° parhelion among others. Uppercave Parry was captured, too. I am very confused about the halo forms captured here. 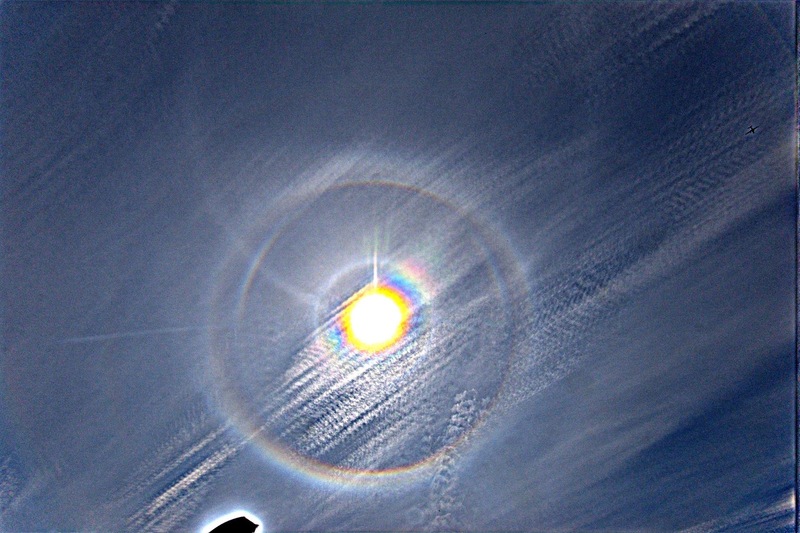 First I thought I captured 18° parhelions, but now it turns out those are probabaly 20° and also 35° column arcs. 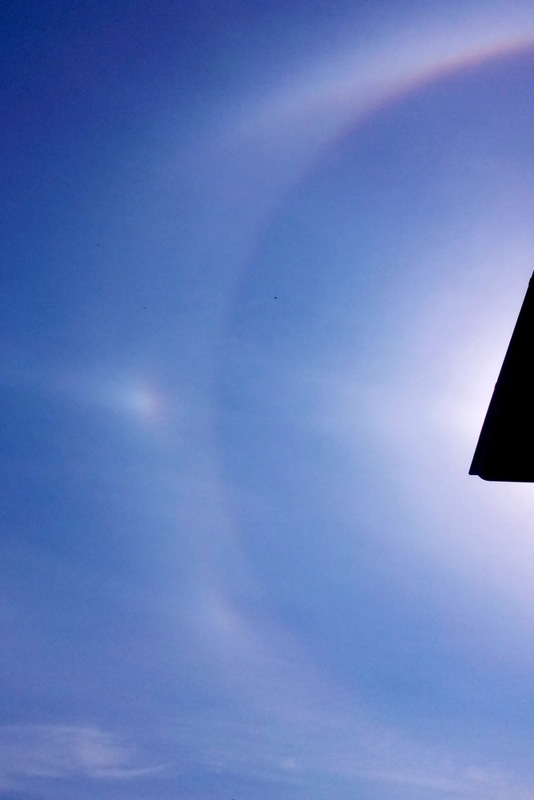 There is also a faint lower 23° parhelion. 9° contact arcs are possibly captured, too. The sun was 62° high at the point of the photoshoot. 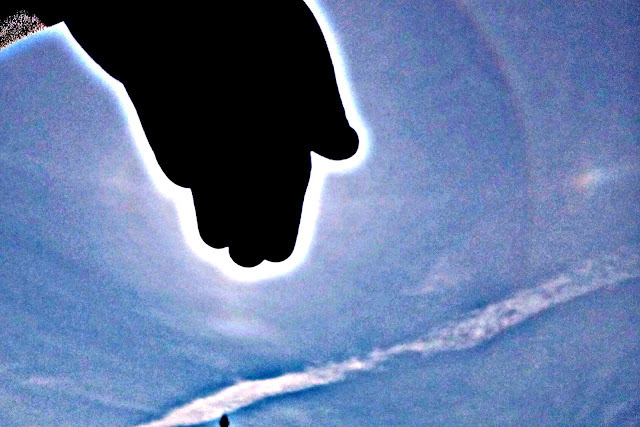 I managed to stack multiple photos and edit those in Photoshop to bring out the halo forms. Can anyone confirm that those are indeed column arcs? the upper and lower 23° plate arcs are well visible. as well as upper and lower part of circumscribed halo. - arcs are sharp while 23° plate arcs are broad. 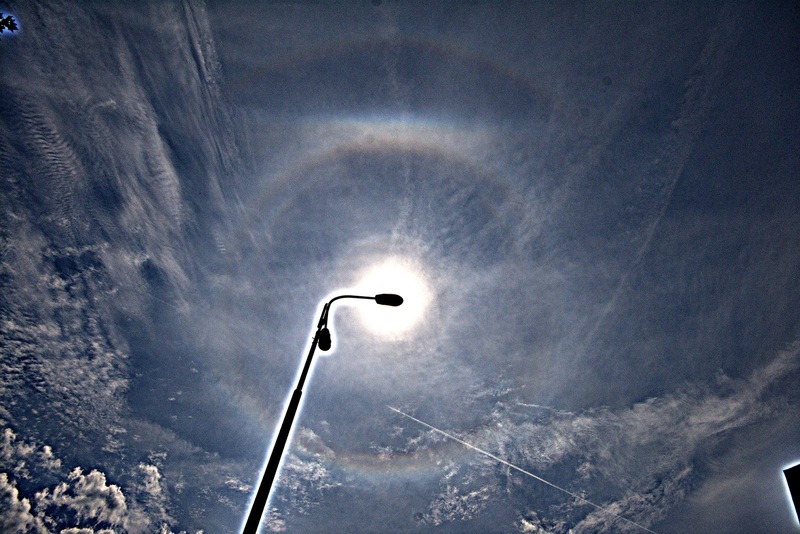 - at this solar elevation, 35° column arcs indeed form a large "halo", from 4 o'clock, to 8 o'clock, going above the sun. they are supposed to be brighter above the sun and also around 4 o'clock and 8 o'clock, which is exactly what is seen. they are also totally absent between 5 o'clock and 7 o'clock, which is also the case here. about the 9° stuff, the 9° column arcs are a full "halo" at this solar elevation, only they are a bit farther from the sun at 6 o'clock, which matches well with what is seen on your last image. so for me, this is a great case of column odd radius display at high sun elevation, with also diffuse 23° plate arcs. 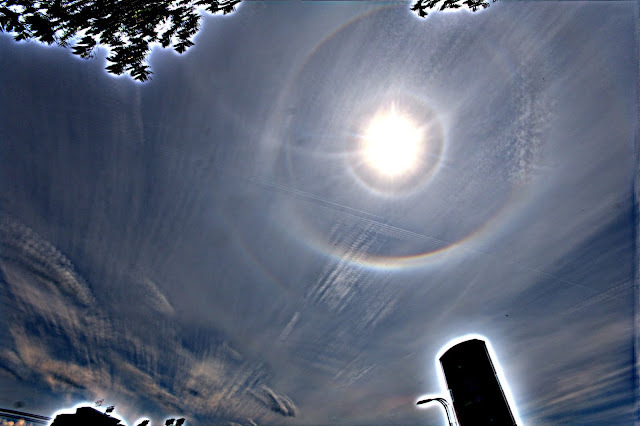 and i think there is even 24° column arcs on the first image of the article as this solar elevation, they cross the parhelic circle where there is a clear brightening on the right hand side at 24° from the sun. Thank you guys for the analysis. Would those be the second 35° column arcs ever photographed? From what I've gathered the first ones ever were observed at Oulu, is that right? This is insane, I knew I could see the 20° column arcs with my naked eye, but first I thought those were 18° plate arcs. 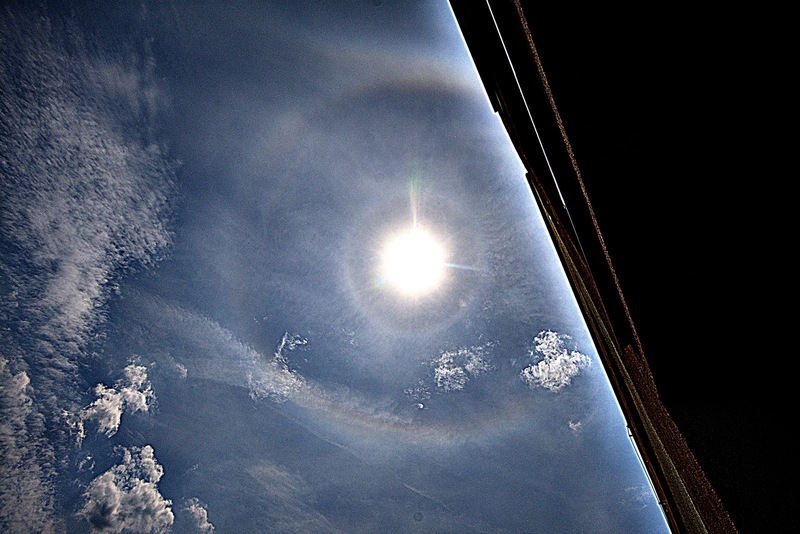 Too "bad" the Sun was so high, maybe then the 35° arcs would be a certain thing. Anyway, this comes to show that stacking the images is a powerful thing to do in these cases. Correction, those would be the fourth. Martin Popek from the Czech Republic had those, too. And another case is from Japan I think. BTW, I can't seem to log in correctly to the blog. Everytime I open the blog itself, it says I'm not logged in. 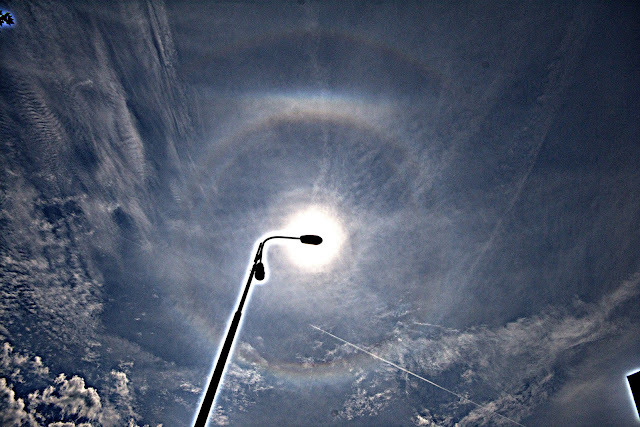 halocamera also caught 35° column arcs. and there are likely more cases from China. Great display Matěj and Jiří! How many images in the stack and how long did you stack for? I'll write to you privately to see whether we can sort out your login problems. Thank you. 19 images and 15 sec. interval for the first stack and 26 images with 13 sec. interval for the second one. This most recent one is another great case nevertheless. Ah, okay, so I'm not that unique with those 35° arcs as I thought I would be :P. Nevertheless I am lucky to be able to tick the box :). Out of curiosity I had to run a simulation. Those 20 column arcs are really something. And yeah, 35 column arcs are not quite so unique anymore. As for the first observation, in the Oulu September 2001 display they are not conclusive. In my mind, the award of the first catch goes to Marko Krusel with his 8 May 2008 display in Keila, Estonia. I appear to have been reluctant to see it at the time, as is evident from Krusel's comment ICH post, but if you just give usm for the ICH post image, the 35 column arc pops up, the location matching with the simulated arc (which is of course not seen in the post simulation if I didn't want to see it in the photo).